Integrative and functional medical practice. Check them out. It’s here! Pop the confetti! 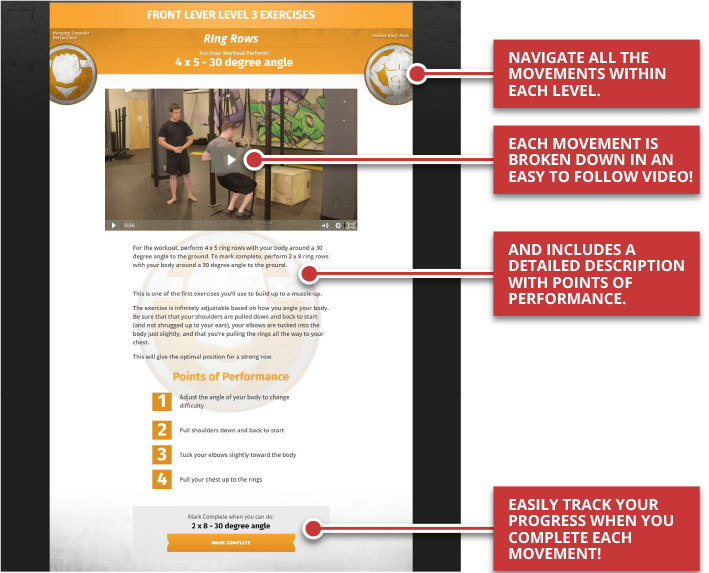 I’m super excited to announce that our new easy-to-follow bodyweight training system — The NF Rings and Handstands Superpack— is now open! I’d love for you to check it out and decide if it’s right for you! We’ll be showing you, step-by-step, how to gain complete control over your body, look like a gymnast, and perform like a Jedi — in your home or at the gym. Remember Rule #1 of The Rebellion: “We don’t care where you came from, only where you’re going!” Young, old, big, small, male, female, or robot, the skills we’ll teach you in Rings and Handstands Superpack know no bounds, gender, age, or level of artificial intelligence. We’ll meet you exactly where you’re at — whether you’re a beginner who’s nervous about training with rings or a super-advanced fancy person — and show you how to move your body in ways you never thought possible. You CAN get in the best shape of your life, starting now. And we can help. 80+ HD individual video lessons: We’ll guide you through an effective and fun exercise system using rings and your own bodyweight — starting with VERY basic exercises that anyone can do — and help you progress to some amazing new moves! An easy-to-follow skill tree system: The problem I’ve found with other bodyweight programs is they don’t actually tell you when to level up to the next step! That’s why we’ve created skill-trees that update as you check them off — so you’ll always know your next step. No matter where you’re starting from, we’ll show you EXACTLY what moves to work on first —and we’ll guide you to the next level in your own time. Professional goofball guidance: Me and Jim (aka Master of the Fitness Universe) walk you through a step-by-step system for building muscle, increasing strength, and losing fat — using only your bodyweight. Jim has 15+ years of experience learning and teaching this stuff. Special Private Bodyweight Training Facebook group: The Nerd Fitness Rebellion rocks. (Of course, you already know this!) Getting healthy and leveling up your life can at times be a little lonely – especially if you’re training in a different way – but it doesn’t need to be. That’s why you also get access to a special, private “bodyweight training” group where you can ask questions of other jedi-assassin-ninja-robots in training. Here’s the link to see the full details. Me and the rest of Team Nerd Fitness are so excited to help you get started with these movements. We want to show you how to level up your fitness, get control over how your body moves, and surprise the heck out of yourself and your friends — all in the comfort of your home (or a gym if you prefer). If you want to find out just how much your body is capable of (hint: it’s a LOT), now is the time to act. Training with a system like this has been one of the greatest surprises I’ve had with for MY personal physique, strength, and happiness. I am a different person now than I was 3 years ago, and training with a system like this been a game changer. I want the same for you. Jim, Staci, and I can’t wait to hang out with you in the community with this course! PS- I’m sure you have lots of questions, so I took the liberty of answering a whole bunch of them (including a question about teleportation…) here on this page: Click to get all the details.